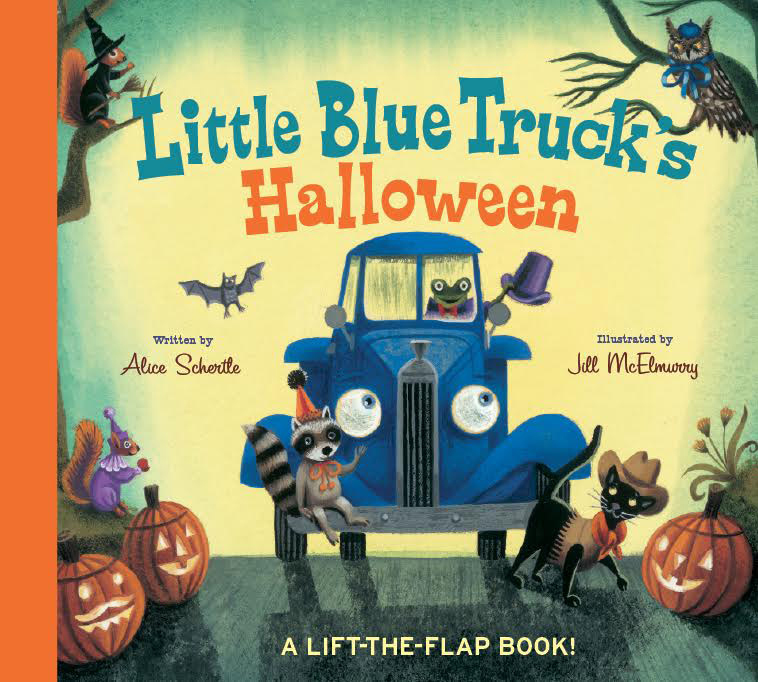 McElmurry's richly rendered scenes and the animals' elegant costumes conjure up a sense of nostalgia that befits Little Blue Truck's own vintage looks. Lovely curvy shapes and autumn colors fade to dusky blues as night falls, and children are sure to notice the traditional elements of a Halloween party: apple bobbing, lit jack-o'-lanterns, and punch and treats. 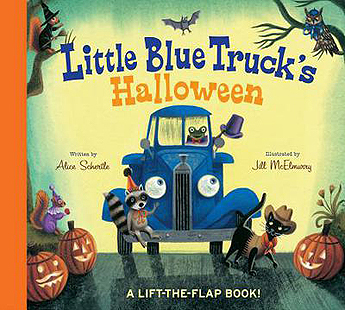 Beloved Little Blue takes a bit of the mystery—and fear—out of Halloween costumes. NOW AVAILABLE: Little Blue Truck Soft Toy! Buy this book..